David Livingstone, immortalised for generations of armchair adventurers in Henry Stanley's question 'Dr Livingstone, I presume! ', was one of the most intrepid and daring explorers of the Victorian age, an era which was characterised by the expansion of the British Empire to cover approximately a third of the globe and which was by no means lacking in intrepid and daring explorers. In 1858 he and his brother Charles embarked upon an expedition up the Zambesi river to explore Eastern and Central Africa, and in 1859 they and their party became the first non-Africans to gaze upon the grandeur of Lake Nyasa. Although they encountered numerous serious obstacles to their progress, such as life-threatening illness and giant rapids, over the course of several years they nevertheless succeeded in penetrating to parts of the interior of Africa that European explorers had so far not succeeded in reaching. This is their original account of this landmark expedition. David Livingstone (1813-1872) studied medicine, but after he qualified decided to devote his life to missionary work in Africa. In November 1840 he was ordained a missionary and in December set off for Africa. From his base at Kuruman in South Africa he made a number of journeys into the interior of Africa, studying the people, nature and geology of the country. 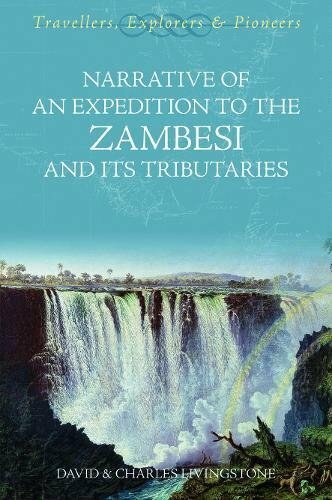 He was one of the first Europeans to see many important features of Africa including the Zambesi river, the Victoria falls and Lake Nyasa. Charles Livingstone, (1821-1873) emigrated to America in 1840 and studied theology in New York. He was given a pastoral charge in Massachusetts, but in 1857 his brother persuaded him to join his expedition to the Zambesi. He stayed with the expedition until 1863, when he was invalided home. From 1864 until his death he worked as a British Consul in Africa.